Healthcare is an economic paradox. On one hand, it's our nation's fastest-growing employer, projected to add 15.6 million jobs by 2022. On the other, high costs coupled with an aging population are breaking budgets. The root of healthcare's cost dilemma is the fee-for-service system, which pays providers based on the number of office visits, tests or procedures they perform. Because payment is tied to consumption, fee-for-service directly contributes to our spending problem. Fee-for-service also creates fragmentation, with providers incented to “compete” with one another, rather than work together for better outcomes. Because providers are rewarded this way, they lack a strong motivation to steer people toward the highest-quality, most cost-effective care, or to ensure patients are monitored across sites in a coordinated fashion—realities that contribute to inefficiency, as well as patient frustration. But two initiatives point to positive change. First, earlier this year, Medicare announced a goal to shift up to 50% of payments from fee-for-service to a quality-of-care model by 2018. Later, several of the nation's largest health systems and payers announced they intend to move 75% of their businesses into similar arrangements by 2020. Second, Congress this spring enacted the Medicare Access and CHIP Reauthorization Act, which permanently changes the way physicians are paid, holding them accountable for costs, quality and efficiency outcomes, starting in 2019. While the movement away from fee-for-service and toward value-based care requires a hefty investment in infrastructure, cultural changes around operational practices and intensive care-redesign efforts, these developments clearly illustrate that providers are being pushed to change and embrace a new normal. Rather than being paid for production, both hospitals and physicians increasingly will be paid based on the quality of the outcomes produced, creating new alignment opportunities. A few early examples in the private sector paint the picture of the future. Take bundled payment as an example. Bundling pays for all services that patients receive during an episode of care, including pre- and post-hospital services. If providers are able to deliver care more efficiently and with a higher quality outcome, they keep some of the savings. Using this payment model to treat heart attack patients, Geisinger Health System in Pennsylvania reduced length-of-stay by 16%, cut readmission rates by 15.2% and eliminated 5.2% in hospital charges. Another promising model is shared savings, where clinicians improve the health of their patients, with incentives to find more efficient ways to deliver quality results. With shared savings, Fairview Health Services in Minneapolis increased preventive testing for chronic obstructive pulmonary disease by about 25%, identifying conditions earlier to prevent hospitalizations. They also increased by 33% the number of patients with vascular disease who received optimal treatment to prevent a heart attack or stroke. Nationally, these results are being replicated, saving the Medicare program $383 million in a single year while generating improvements in more than 30 measures of quality. These new payment models are by no means systematic. For most, they are difficult to implement and scale, pointing to the need for industry collaboration to better understand the difficulty of the task, as well as solutions for change. At Premier, we have a collaborative of hundreds of hospitals working to make these kinds of transitions. By uniting, we're hoping to make innovations that support better outcomes at a better price the standard, not the exception. In providing an organized way for health systems to share information and innovation, we've learned that moving from volume to value requires new approaches. It requires integrated data so clinicians are alerted when a prescription hasn't been filled or an appointment was missed. It requires providers to go into the community to provide care where those most in need spend their time, such as how clinicians at Sinai Health System in Chicago are fighting diabetes through programs in local grocery stores. It requires consistent and aligned measures to monitor performance and prove that patients are getting healthier. It's a tall order considering the investments are steep and the measures and analytics required are still maturing. But it is the new reality. When done correctly, value-based payments give an incentive to a connected, collaborative group of caregivers. Warren Buffett once said: “Chains of habit are too light to be felt until they are too heavy to be broken.” Now is the time to break the chains of fee-for-service. 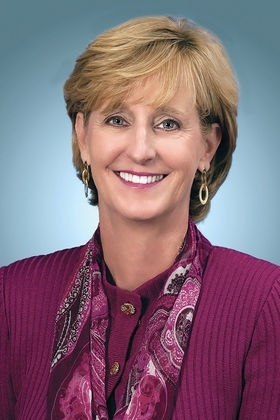 Susan DeVore is president and CEO of Charlotte, N.C.-based Premier.